one unit, plus bluetooth, FM transmit, AV input, video, music, photo and ebook reader. suction fastener. Bluetooth function will make you totally hand-free when you answer the phone. Backup Camera Mode: The camera and transmitter are powered by the cables that power your vehicle's reverse lights. 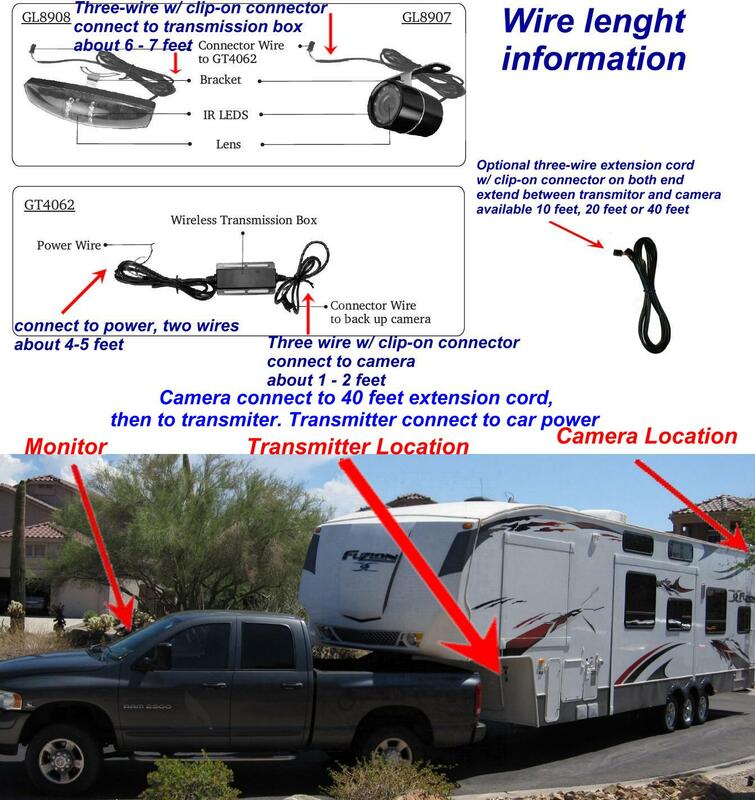 transmitter, sending out a video signal, the GPS unit then auto-switches over to the camera view. after you hand up, the unit will switch back to the previous mode. Multi language support: English, French, Spanish and more. Additional European and other Maps available. 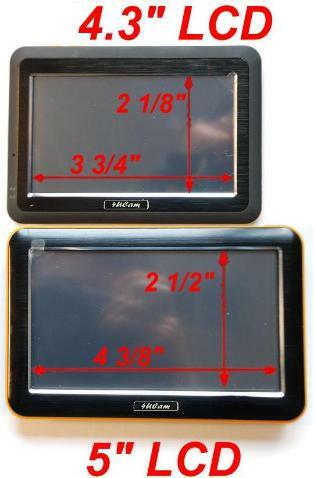 Screen size 3 3/4" x 2 1/8"
incorporates the same chipset used by Navman, TomTom, and Garmin. battery to store your GPS locations and settings. How does the wireless reversing camera work? is easily installed onto the rear of your vehicle near your number plate. All wiring can easily be hidden. 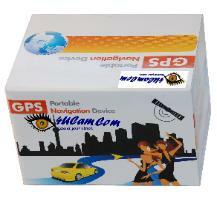 power adapter and powers the GPS unit and receives the video signal from the transmitter. out a video signal. 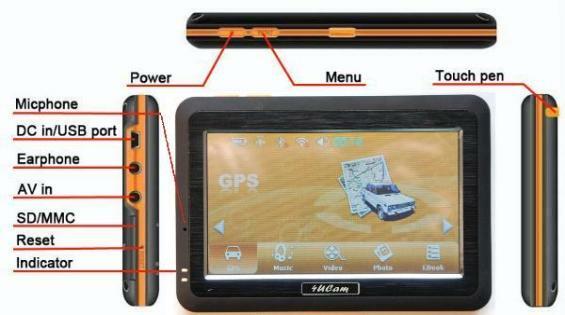 The GPS unit can be switched over to the camera view. calculations for you. Meanwhile, concentrate on the road ahead of you and enjoy your trip. route in the classical 2D view, or fly like a bird over the map in the 3D perspective. trips, with many stopovers? Tap a few times and off you go! driver get every prompting details even in noisy environment. 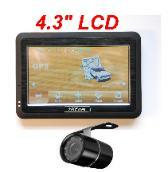 viewing angle to give you the optimal view in any situation. vehicle select, track logs record. stations, parking, restaurants, ATMs, hospital and more. 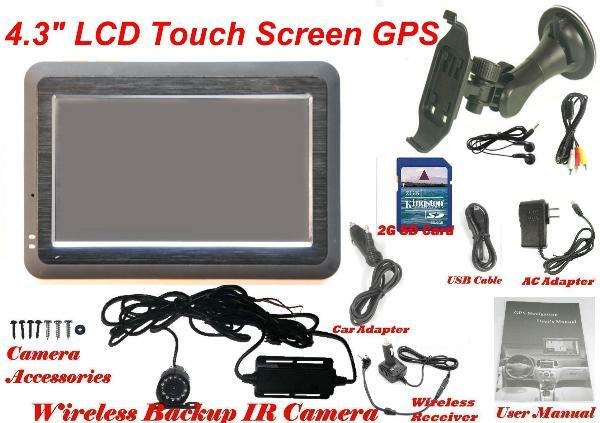 If you plan to use it in a long truck or trailer, and wondering whether this backup set would work in your case. * USA Get It Faster!! !